Due to an unforeseen family emergency, this event must, unfortunately, be postponed. We are actively working to reschedule and announce a new date for this event as soon as possible. 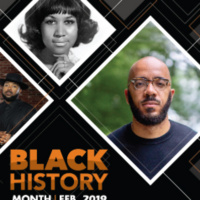 Clint Smith, a writer, teacher and Ph.D. candidate at Harvard University is the keynote speaker for the 2019 Black History Month Celebration. The lecture is free and open to the public.